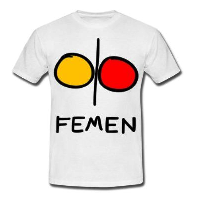 Femen Sextremists trial is tomorrow in Tunis and Karouan. Inna is briefing the FEMEN Germany and FEMEN France activists who supported Amina in Tunis. Credit: Inna Shevchenko @ Paris, Ile-de-France. This entry was posted in English, France, Tunisia and tagged paris on May 28, 2013 by Larysa.